Speedy Pak offers the flexibility to efficiently meet your transportation needs. 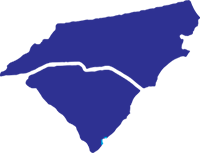 Our facilities are strategically located throughout South Carolina. Our office provides quality warehousing, expedited deliveries, white glove service, home deliveries, time sensitive deliveries and convention services. We achieve a high level of customer satisfaction by providing courteous, flexible and efficient service. Our office provides quality warehousing, a line haul to (MYR) as well as expedited deliveries, white glove service, home deliveries, and time sensitive deliveries. Our Columbia warehouse is conveniently located off I-77 and is just minutes from the airports and other logistics partners. We achieve a high level of customer satisfaction by providing courteous, flexible and efficient service.